Relating to or resembling molluscum. Some lesions may heal spontaneously and require no therapy. 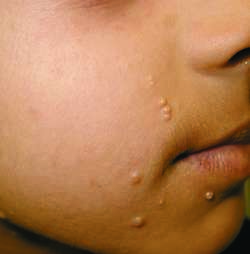 Persistent papules can be removed with curettage or frozen with liquid nitrogen.